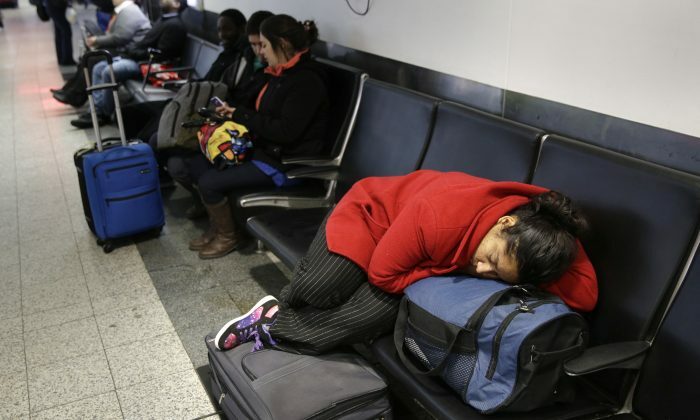 Americans are in the midst of a sleep crisis. Almost 70 percent of adults report sleeping six or fewer hours per night according to a National Health Interview Survey. This lack of sleep increases rates of automobile accidents and can have such adverse health impacts as obesity, diabetes, alcoholism, high blood pressure, and depression. Sometimes missing sleep is unavoidable. So how much does a quick nap help offset some of the negative side effects? Researchers examined this question in a study published in the Endocrine Society’s Journal of Clinical Endocrinology & Metabolism. “Our data suggests a 30-minute nap can reverse the hormonal impact of a night of poor sleep. This is the first study that found napping could restore biomarkers of neuroendocrine and immune health to normal levels,” said one of the study’s authors, Brice Faraut, Ph.D., of the Université Paris Descartes-Sorbonne Paris Cité in Paris, France. Is Lack of Sleep Affecting Your Metabolism? The study involved 11 men between the ages of 25 and 32 who were observed closely in a laboratory setting. This group of men was split into two groups. Both of these groups were allowed only two hours of sleep during the night, and one group was allowed two 30-minute naps during the day. Researchers then analyzed the participants’ urine and saliva and compared norepinephrine levels. Norepinephrine is a hormone and neurotransmitter associated with the body’s flight-or-flight stress response. It increases heart rate, blood pressure, and sugar levels in the blood. The group that wasn’t allowed to nap following limited sleep had a 2.5 times increase in the levels of norepinephrine. Those who were allowed to nap did not display an increase in norepinephrine levels. Interlukin-6 levels were also affected by a lack of sleep. Interlukin-6 is a protein secreted by the immune system and bone cells which has strong antiviral properties. Once again, those who were allowed to nap produced normal amounts of this protein, while those who were not allowed to nap produced less. “Napping may offer a way to counter the damaging effects of sleep restriction by helping the immune and neuroendocrine systems to recover. The findings support the development of practical strategies for addressing chronically sleep-deprived populations, such as night and shift workers,” said Brice Faraut. A powerful natural aid to better sleep could be just a supermarket shelf away. The National Sleep Foundation, a not-for-profit scientific organization, has issued an update on how much sleep people should get per night.